From construction sites to dentists' surgeries, air compressors have hundreds of uses in a range of industries. Not only are they useful in their own right for cleaning or inflating, but they're also a clean, cheap source of power for pneumatic tools and machinery. The variety of air compressors on the market today matches the variety of their applications, so whether you’re after an industrial compressor or a more portable petrol / diesel air compressor, there will be something to suit your requirements. Piston-driven (reciprocating) compressors - these are the most affordable (and oldest) models, and are best for small scale operations. Since the design involves a lot of mechanical movement, they need periods of down time during use to prevent them overheating. Reciprocating air compressors are usually portable and are available in single or 3-phase electric or petrol/diesel varieties. Rotary screw compressors - these use interlocking helical screws, or rotors, to increase air pressure. Without the furious movement of pistons they produce much less heat, and so are generally used for heavy duty, industrial work. They are designed to be used in a single, fixed location and are often housed in a special purpose cabinet. 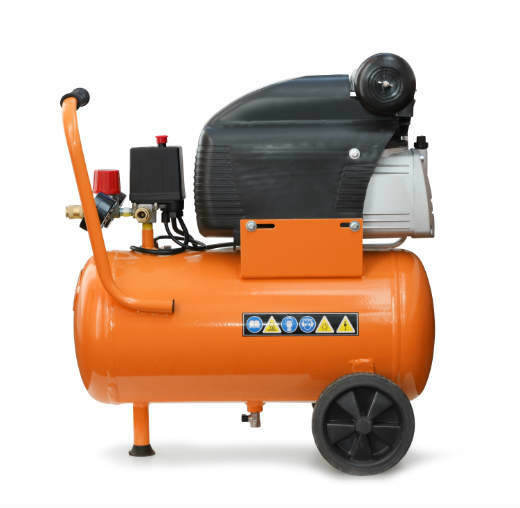 Air compressors can be compact, portable affairs or (especially in the case of variable speed rotary compressors) large-scale, permanent pieces of apparatus that need to be installed by professional engineers. The size of a compressor will obviously be in proportion to its power, which is measured in terms of the maximum airflow (in cubic feet per minute) and the pressure (in pounds per square inch) required by your appliances. On top of these basic considerations there are a few extra features that can be specified. Air compressors can be fitted with cooling, drying and silencing devices depending on your environmental requirements. If you need clean, high quality air (for use in food or medical services for example) you can invest in air filters or an oil-free model. Whatever your specification, don’t let finding the right air compressor put you under pressure. Just fill in our simple enquiry form to receive free, no obligation quotes from up to 4 leading air compressor suppliers. Let Approved Index help you compare Air Compressor suppliers.